A broad scope of knowledge. Licensed in Virginia, we bring a broad scope of knowledge in the commercial real estate industry and specialize in the Fredericksburg region. From the systems and technology that we use, to the experience of our professionals, we can provide accurate reporting for every aspect of the industry. 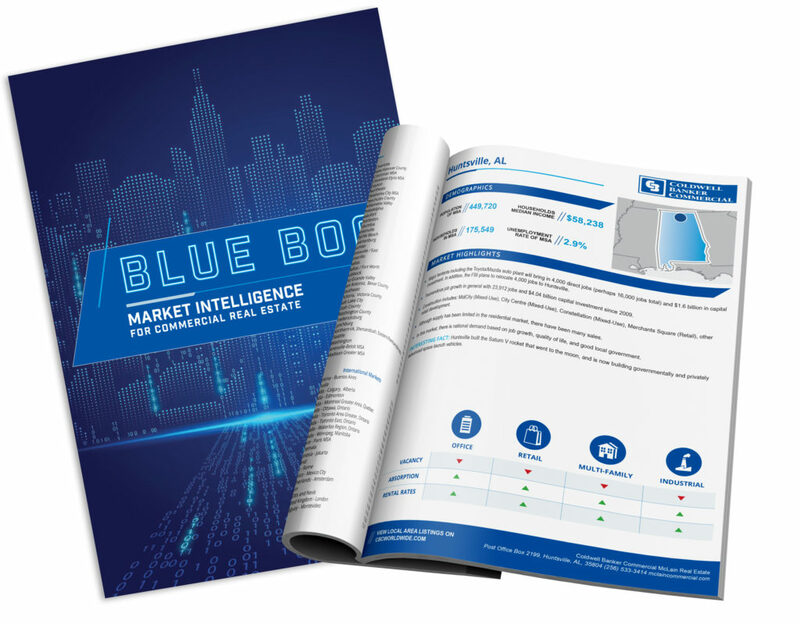 Our market intelligence reports provide in-depth insight into the commercial real estate market. We focus on the performance of retail, office and industrial markets throughout the Fredericksburg, Virginia area, including the City of Fredericksburg and the counties of Stafford, Spotsylvania, King George, and Caroline. See up-to-date real estate market data such as: Vacancy rates, Rental rates, Absorption, New construction, and New business news.